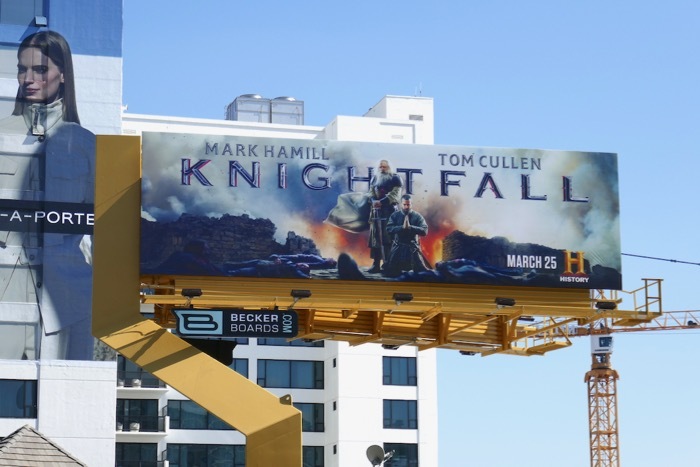 Mark Hamill trades in his glowing lightsaber for a gleaming metal sword this March for the sophomore season of History's medieval drama, Knightfall. 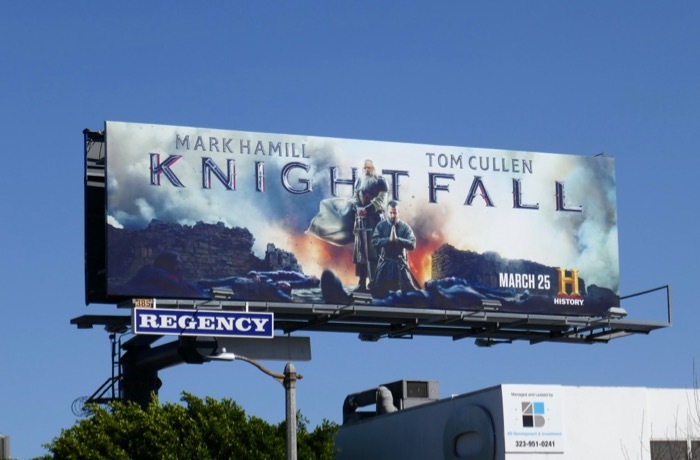 He joins star Tom Cullen in eight all-new episodes chronicling the demise of the powerful, wealthy and mysterious military order, the Knights Templar during the Middle Ages. The series continues to explore the men who wear the iconic red cross as 'God's Executioners' and the medieval politics, warfare, religion and royalty affecting the clandestine brotherhood of warrior monks. 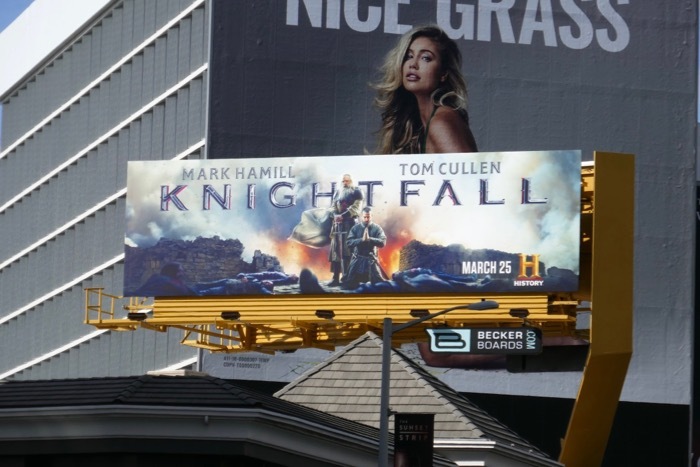 These dramatic season two billboards were photographed along the Sunset Strip, San Vicente Boulevard, Pico Boulevard and Beverly Boulevard from February 22 to March 16, 2019. 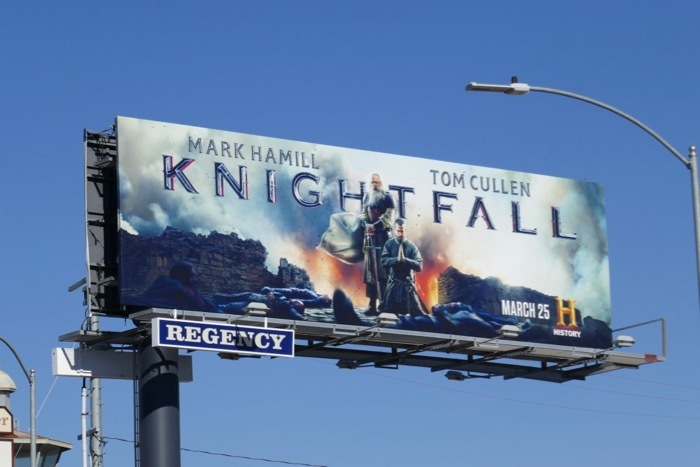 Fans of the historical drama can also enjoy these season one billboards for Knightfall and Mark Hamill admirers can check out his Star Wars: The Last Jedi billboard. 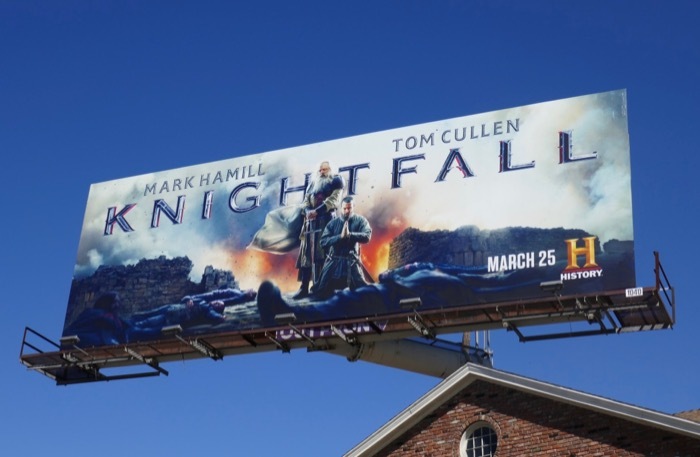 Let's see if Mark Hamill will be as wise as 'Yoda' as the battle-hardened veteran knight of the Templar Order when he joins the show on the small screen this spring.